Digital poster management solution for conferences, symposiums and other educational meetings. Designed to facilitate learner-centred environment, it allows presenters to deliver interactive sessions via touchscreens onsite. 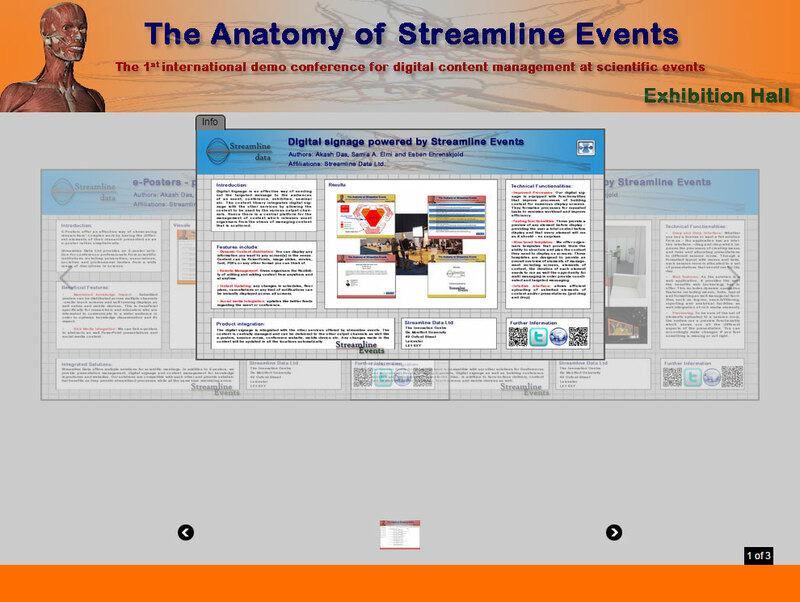 E-posters are becoming popular components of scientific conferences. Unlike traditional printed posters, they offer presenters the ability to provide detailed information of a topic in a much easier and cost effective manner. Accessing posters through onsite touch screens enables attendees to study a topic of interest at their own pace. Advanced search and filter facilities make posters easy to search, find and share. SLE E-Poster Manager supports cross device distribution enabling presenters to maximise knowledge dissemination and impact through the web and social media sites, mobile devices and digital handouts. Onsite submission allows submission of last minute E-posters. Supported file formats are: PNG, JPEG and GIF. Add unlimited posters to poster groups in the following formats: PNG, JPEG and GIF. Attach abstract overview to poster group and attach abstracts to posters. Attach speaker content to abstracts and posters. Full integration with conference program. Touch screen enabled navigation of abstract overview and posters. E-Poster display for easy access and navigation for delegates.